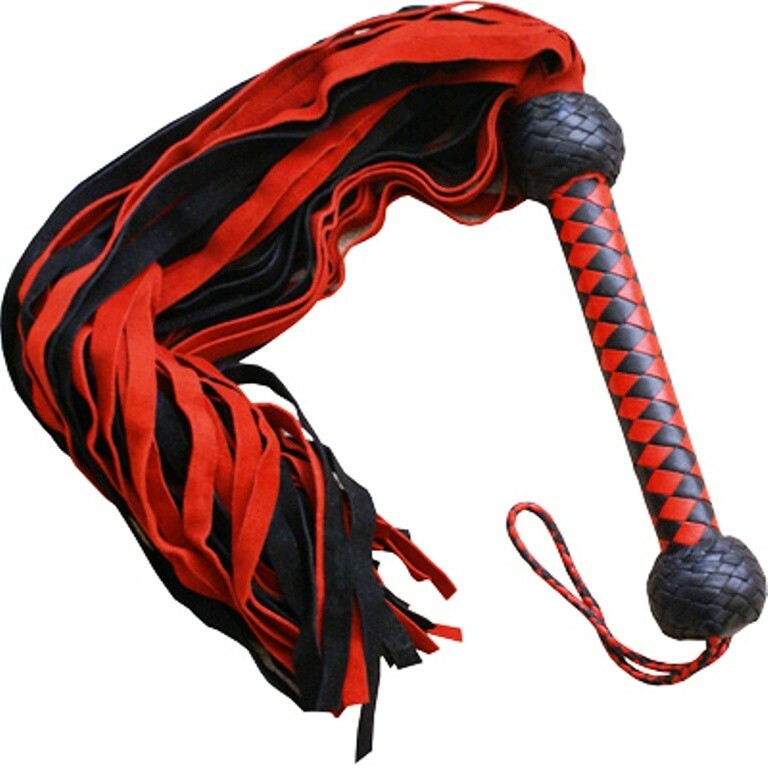 LEATHER FLOGGER RED BLACK WHIP STYLE. 100% TOP QUALITY COWHIDE LEATHER. TAILS 19.0" LONG, (19+9.0= 28.0") TOTAL LENGTH.